Growing up and starting middle school can be challenging for fifth graders. Students do not know what to expect and are scared about a new school environment. The staff at Shawano Community Middle School (SCMS) wanted to help make the transition a little bit smoother for the kids, so they decided to hold a fifth grade transition night at SCMS on Wednesday, January 2. At transition night, parents and students had a chance to get to know a little more information about SCMS and how middle school differs from elementary school. There is an official transition day that the entire fifth-grade class goes to in the spring, but the staff wanted the kids to have a little bit of a head start in preparing. Transition night is more for the parents and preparing them for any questions that their children might have during their school change. The staff covered things like sports, exploratories and the new schedule that the students will be starting next fall. “Transition night is very informational for parents and is geared towards getting them the information that they need,” said Associate Principal Dr. Rod Watson. January 2, 2019, marked the first time that SCMS held transition night and the turnout was very surprising for the staff. “I counted about 200 or more people. We had two different groups of students and parents,” stated SCMS Principal Mr. Stuart Russ. 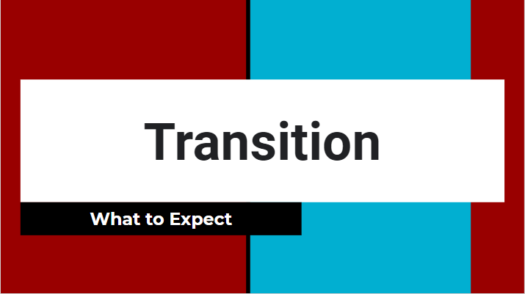 Mr. Russ and Dr. Watson thought that January would be the ideal time of year to hold transition night because students are starting to make choices about their scheduling for next year. The change from elementary school to middle school is very drastic, and the biggest change that students face is the new schedule. Middle schoolers have a lot more freedom, and they need to rely on themselves to get to where they need to be. 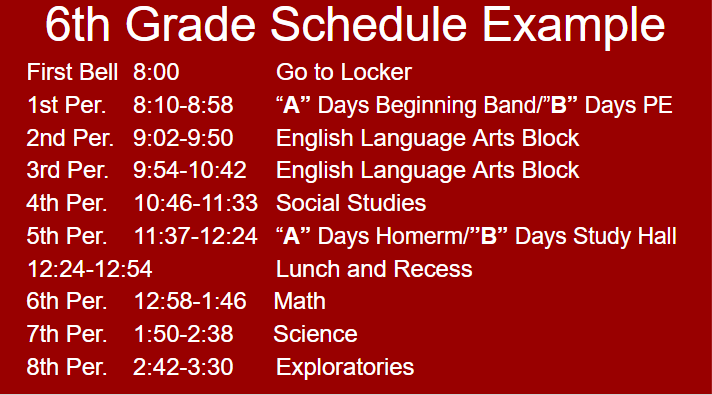 The additional classes and AB schedule only adds to the stress that students face. Although the adjustment is challenging, the staff at SCMS is doing their best to prepare the students for the transition. Everyone at SCHS wishes the fifth graders the best of luck in their transition and look forward to seeing them in a few years.